This is my list of personal favourite resources I've found thus far in my teaching journey. Although many of them are related to Physical Education, many are also resources any teacher can use to implement physical activity into any of their lessons or daily routines! 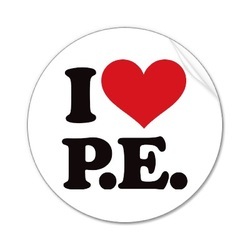 PE For You: Teacher Resource Pack. Hill, Michael. Stanley Thornes Publishers Ltd., Cheltenham, 1999.